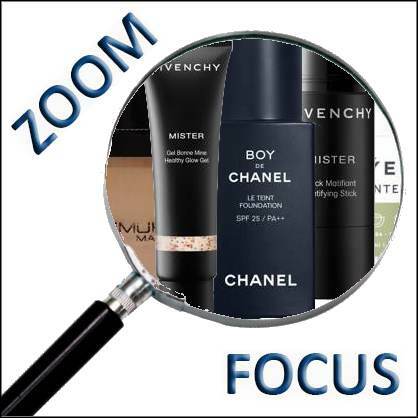 We call it grooming, a word that is less scary for men than makeup! 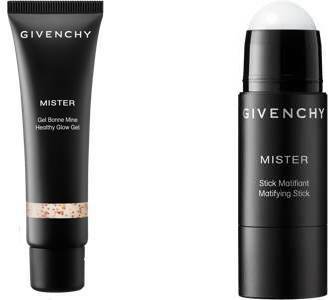 After Jean-Paul Gaultier Monsieur and Guerlain (who offered a totally matt Terracotta, with no iridescent particles), it is now Givenchy and Chanel’s turn to launch their make-up collection for men. In fact, the first one imagines a “no gender” collection (even if it is called “Mister”!) made up of four Universal Embellishers products for him and her. In the end, a truly natural make-up result and an ingenious and simple to use line that you will want to use! Meanwhile, Dior is sending journalists details of the makeup created and produced by Peter Philips, Dior’s creative and image director for the 2019-2020 Winter Men’s Collection. 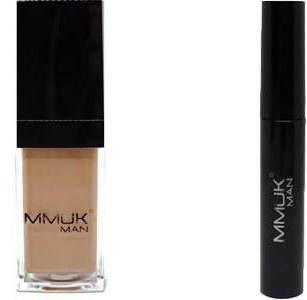 Here it is he who steals our products, such as the fluid foundation for face and body (50 ml, €40) “whose very fine and light texture gives an impression of perfect naturalness”, or the Lip Maximizer to hydrate and “plumper” the lips! Perhaps this is the sign that the luxury brand “planks” on the issue…. 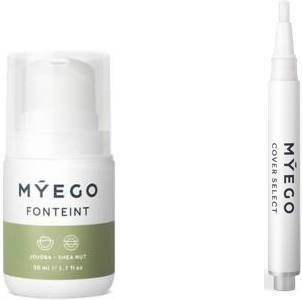 There are also two English brands: Myego Cosmetics and Mmuk Man. 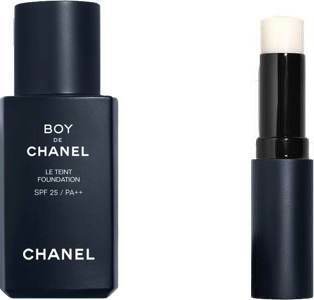 The first has created make-up products for men, certified organic, such as Compact Matifying Powder (Shine Rescue, €25) or Fonteint (50 ml, €25), or an concealer with a brush applicator (Cover Select Concealer, €18). The second offers an ultra-complete range which includes three types of concealer, in stick (€23, 5 shades), in Trio de Couleurs palette (10 g, €33, 3 harmonies) or in Pencil (€25,50), a liquid foundation (28 ml, €36) or in compact powder (€39,50, 4 shades), a BB Cream (€38.50 ), a Liquid Imperfection Corrector (4 g, €26.50), a mineral, compact (€36) or free (€39.50) Matifying Complexion Powder, and even Mascaras (€23) or a Mascara for eyebrows and beard (€22, 2 shades). Very sophisticated, the American brand 4VOO offers an Anti-Reflection Powder for Men Corrector enriched with silk (€49), an Anti-Dark Circle Corrector Stick (€39.50), a Bronze Tinted Cream for face and body (30 ml, €59), a Volumizing Serum for lips (€29) or a Disciplining Gloss for Eyelashes and Eyebrows (€27).